In lieu of flowers, it was Babs' wish that memorial donations be made to "The Barbra Siperstein Endowed Scholarship at Middlesex County College"
Assemblyman Dan Benson (D-14 Mercer) first joined the Assembly in 2011 and is currently serving his fourth term. A former member of the Environment, Commerce, and Law and Public Safety Committees, the Assemblyman currently serves as the Chair of the Transportation and Independent Authorities Committee and as a member of the Health and Senior Services and Budget Committees. He represents towns in Mercer and Middlesex Counties including Cranbury, East Windsor, Hamilton, Hightstown, Jamesburg, Monroe, Plainsboro, Robbinsville, and Spotswood. Assemblyman Benson has a Bachelor of Science in physics and government from Georgetown University and a Master of Public Policy in science and technology policy from Rutgers University. Professionally, the Assemblyman is an energy and telecommunications policy consultant and resides in Hamilton with his wife Hande and their son Nicholas. Ms. Ferraro has been Vice President of Government Relations and Public Affairs at Atlantic Health System since 2002. In this senior leadership position, Ms. Ferraro helps devise and direct the system's strategic policy decisions and enhance the system's position with state and federal leaders. Ms. Ferraro is responsible for all legislative and regulatory matters and she meets regularly with federal and state legislators, local elected officials, the Governor and his staff, and the Commissioners and staff of various state departments. Ms. Ferraro was the architect for Atlantic Health System's corporate strategic giving program and heads the committee that directs and distributes over one million dollars annually of Atlantic Health System funds to charities with aligned missions. In 2017, Ms. Ferraro was named to NJ Governor-Elect Phil Murphy's transition team, as a member of the transition's healthcare committee. She also served as Appointments Counsel to Governor Christine Todd Whitman and as a Deputy Attorney General for the State of New Jersey. Ms. Ferraro is very active in her civic community. She sits on the boards of the New Jersey State Chamber of Commerce, the National Public Affairs Council (the preeminent association for public affairs professionals worldwide), Georgian Court University, Brookdale Community College, the New Jersey Hospital Association HealthPAC Board of Directors, Policy Development Committee and Government Relations Committee, and the Fair Share Hospitals Collaborative Government Affairs and Strategic Planning Committee. Ms. Ferraro also acts as a mentor to young and seasoned professionals in varied fields. AECOM, a premier, fully integrated global infrastructure firm, is built to deliver a better world. They design, build, finance and operate infrastructure assets for governments, businesses and organizations in more than 150 countries. As a fully integrated firm, AECOM connects knowledge and experience across their global network of experts to help clients solve their most complex challenges. From high-performance buildings and infrastructure, to resilient communities and environments, to stable and secure nations, their work is transformative, differentiated and vital. both business and politics as a best practice in promoting positive societal values. For more information on AECOM, please visit aecom.com and @AECOM. 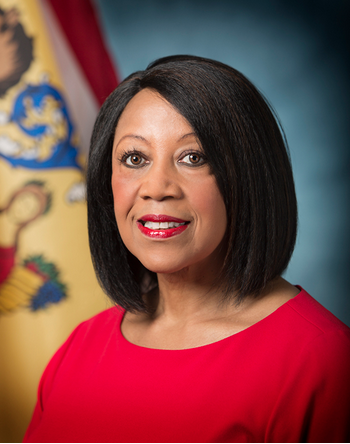 On the evening of February 7, 2019, the Women’s Political Caucus of NJ (WPCNJ) will gather at the Hyatt Regency in New Brunswick at 6:00 p.m. for its annual Passion * Power * Progress Awards reception. Each year this event showcases individuals and organizations whose leadership, civic involvement, and professional efforts have helped make New Jersey a better place for women. For more information regarding the 2019 Passion * Power * Progress Awards, please visit www.wpcnj.org/calendar. Please email info@wpcnj.org if you are interested in receiving a questionnaire. All proceeds from this event are used to support our endorsed women candidates! 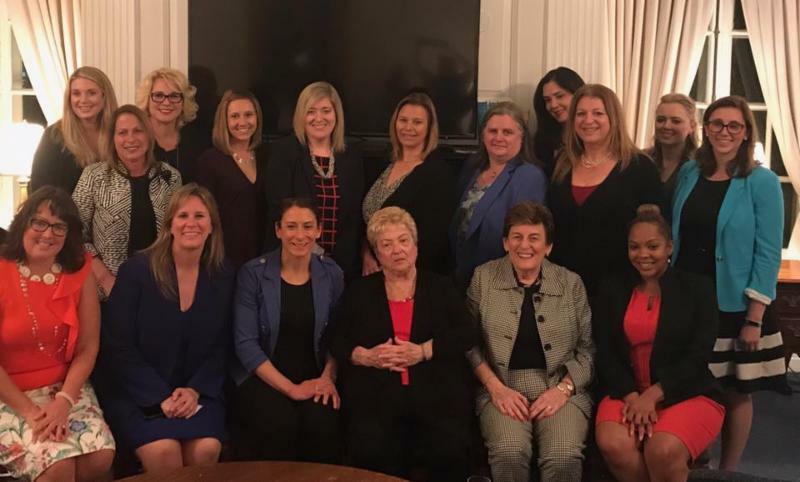 Join us or renew your WPCNJ Membership today to be part of New Jersey's premier organization for women who are passionate about politics and increasing women's representation at all levels of government. For more information, contact info@wpcnj.org. today. WPCNJ is New Jersey's premier organization for women who are passionate about politics and increasing women's representation at all levels of government. Not sure if your dues are current? Email Megan Hutton, WPCNJ Administrator at info@wpcnj.org to find out. Join or renew your WPCNJ Membership today. WPCNJ is New Jersey's premier organization for women who are passionate about politics and increasing women's representation at all levels of government.